Oklahoma Connection | Fellers was born in Oklahoma City, Oklahoma. Jim Fellers served from 1974 to 1975 as President of the American Bar Association and was the first Oklahoma lawyer to hold the position. Oklahoma native James D. “Jim” Fellers graduated from Tulsa Central High School in 1930 and attended Oklahoma City University before graduating from the University of Oklahoma College of Law in 1936. Since that time until his death, he practiced law in Oklahoma City, except for the World War II years where he served in the U.S. Army Air Corps and received the Bronze Star as a member of the secret intelligence program which broke the German code. 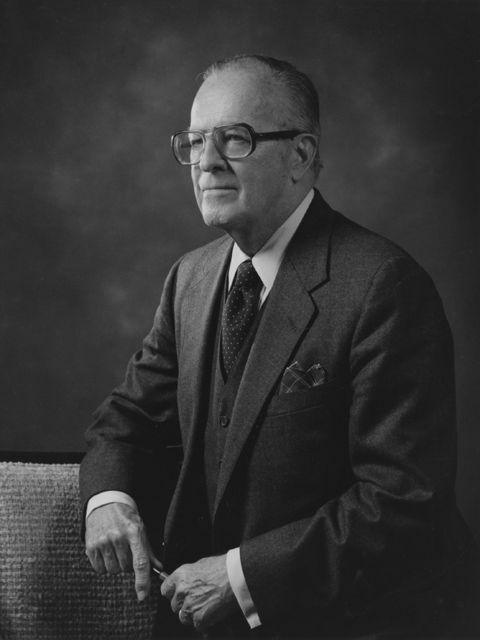 Fellers founded the law firm that became Fellers, Snider, Blankenship, Bailey and Tippens in 1964 and was named among the top five most influential attorneys by U.S. News and World Report in 1975. Fellers also served as Honorary Consul for Belgium for the State of Oklahoma and in the House of Delegates of the American Bar Association.